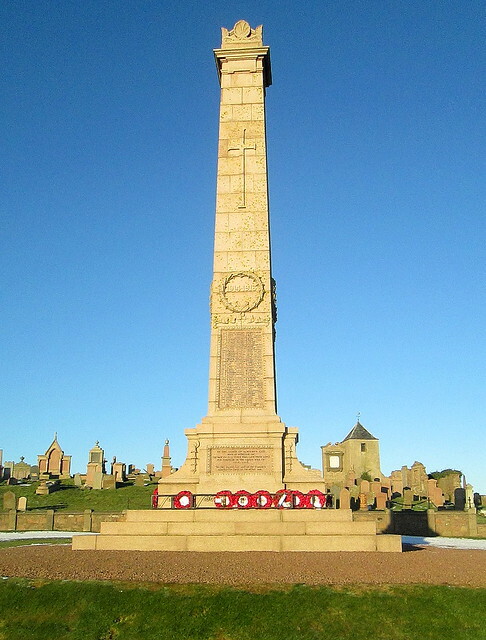 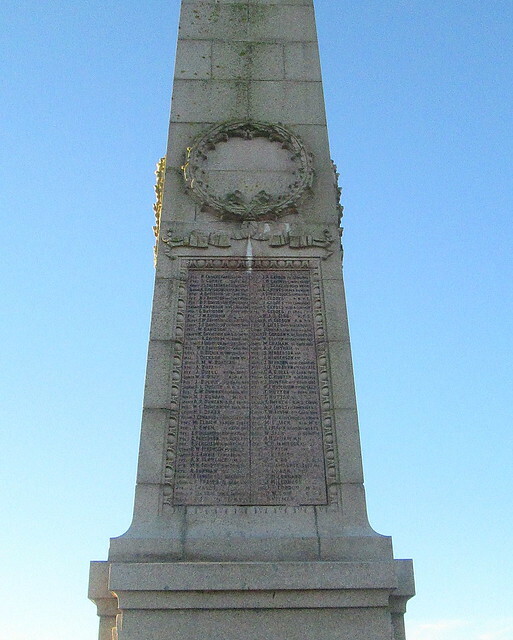 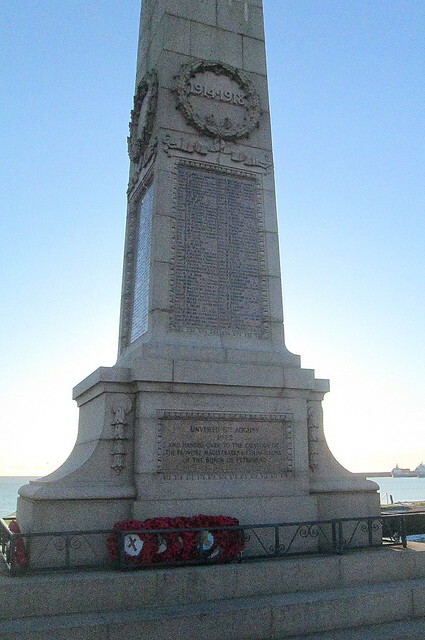 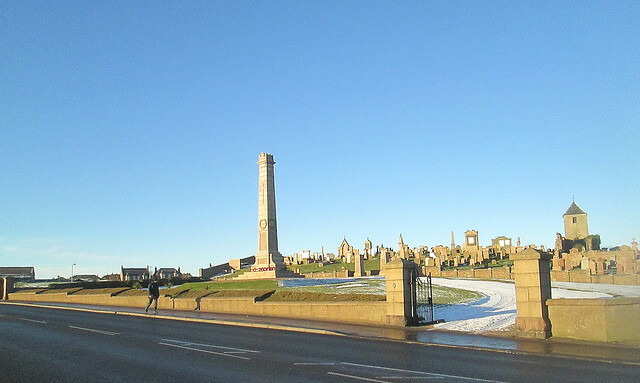 Peterhead‘s Great War Memorial is an impressive sight, a tapering square column, visible from quite a distance as you approach the town from the south. 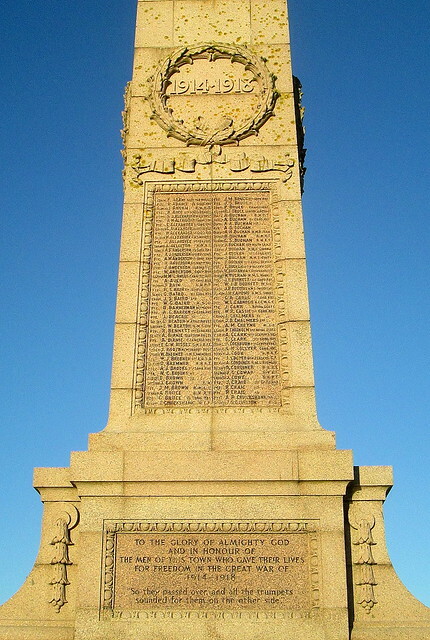 The column bears only Great War Names. 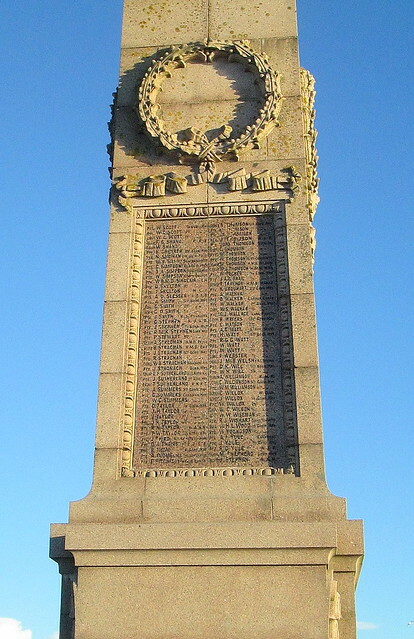 The Second World War dead are commemorated on two pillars at the entrance to the graveyard behind.